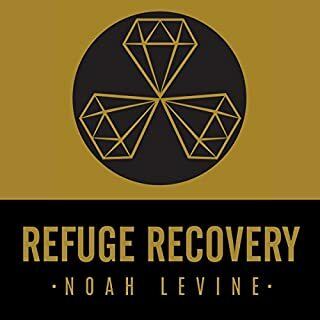 In this six-session audio course, Griffin shares personal insights from his own struggle with addiction and offers guided meditation practices to support each step of the recovery process. Listeners will discover universally accessible ways to relate to the idea of a higher power, how the wisdom from the Four Noble Truths and the concept of karma can be applied to AA's life review, and much more. Mindfulness has proven medical benefits for relief from pain and stress, but what about addiction? 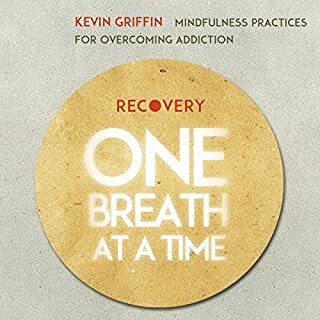 As Kevin Griffin has learned, there is no more powerful tool than mindfulness for helping us cope with the moment-to-moment challenges of recovery. By: Bill P., Todd W., Sarah S.
Resentment. Fear. Self-pity. Intolerance. Anger. As Bill P. explains, these are the "rocks" that can sink recovery - or at the least block further progress. 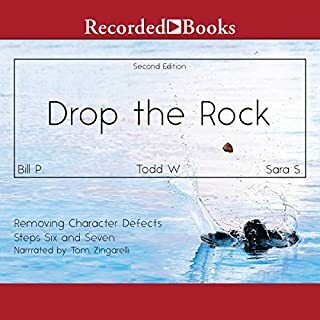 Based on the principles behind steps six and seven, Drop the Rock combines personal stories, practical advice, and powerful insights to help listeners move forward in recovery. The second edition features additional stories and a reference section. 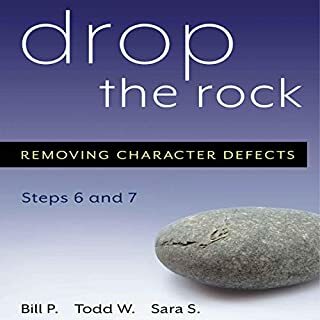 By: Bill P., Todd W., Sara S.
Based on the principles behind "Steps Six and Seven", Drop the Rock combines personal stories, practical advice, and powerful insights to help listeners move forward in recovery. The Buddha said many times that just as the great oceans have but one taste, so do all the true teachings of the dharma: the taste of freedom. Jack Kornfield's The Roots of Buddhist Psychology is an invitation to drink deeply of these teachings; to taste the wisdom that flows from the heart of Buddhism's most useful ideas on the interior life and what brings awakening, freedom, and happiness. Jack Kornfield opens this eternal view of the mind for all listeners in this collection. This is an audiobook of reflections by AA members for AA members. It was first published in 1990 to fulfill a long-felt need within the Fellowship for a collection of reflections that moves through the calendar year - one day at a time. Each chapter contains a reflection on a quotation from AA. Conference-approved literature, such as Alcoholics Anonymous, Twelve Steps and Twelve Traditions, As Bill Sees It, and other books. These reflections were submitted by members of the AA Fellowship. The key text of Alcoholics Anonymous, which to this very day has not changed since it was first published in 1939. This is the original text, with the addition of personal stories from both the first and second editions. Also included: a current study guide from the 12 Steps of Alcoholics Anonymous. This book is the best-selling self-help book for conquering addictions that range from alcoholism to drug addiction, overeating, and other issues. What gives the book its enduring value is Griffin's intimate and revealing tales of his own and other's addiction and recovery, combined with his unique capacity to translate traditional 12-step concepts like powerlessness, higher power, and character defects into meaningful contemporary terms. 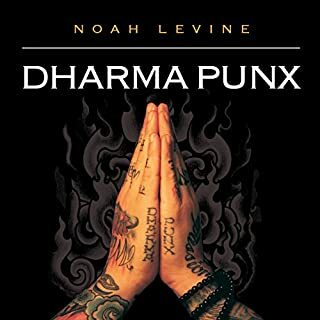 He explores all this through the lens of the core concepts of Buddhism: the Four Noble Truths, the Eightfold Path, mindfulness, loving-kindness, and more. The result is a book that has transformed the lives of thousands of addicts and alcoholics. 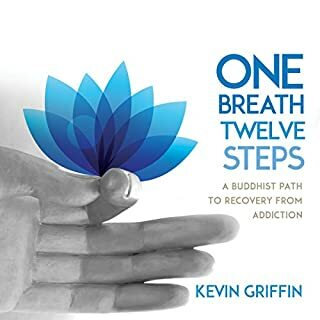 Kevin Griffin has been an inspiration and resource for our Mindfulness and Meditation for Recovering Alcoholics Study Group . Thanks Kevin ! ALOHA and happy Tuesday everyone! I love you and appreciate the love force of life and laughter and healing energy you are light and love and in my heart. Highly recommend for all. Everyone needs to put this into practice. Very informational and can be transformative in ones life. Great book. 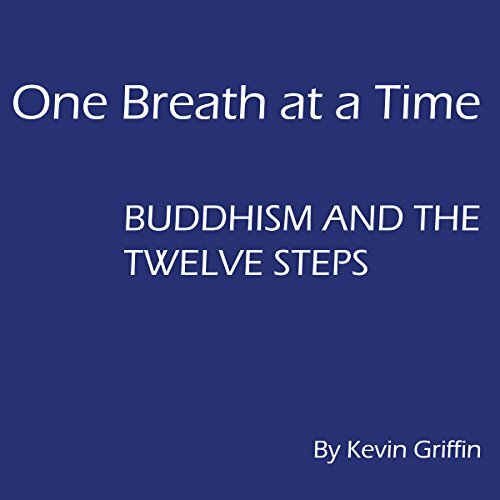 This is a very in-depth story of the author ‘s Buddhist and 12 step recovery journey. I have two other books by him. I don’t know why, but the delivery of this one was a bit flat. Not as passionate a voice as others. He goes into much more personal detail. He relates the steps to all addictive behaviors, not drugs and alcohol only. This book is just awesome. I bought the physical book after this audiobook because I want to reference it daily. I highly recommend this book!